C Programming is a best programming language in the world to learn the in and outs of programming techniques. Learning C programming is not just learning its various statements and syntax. 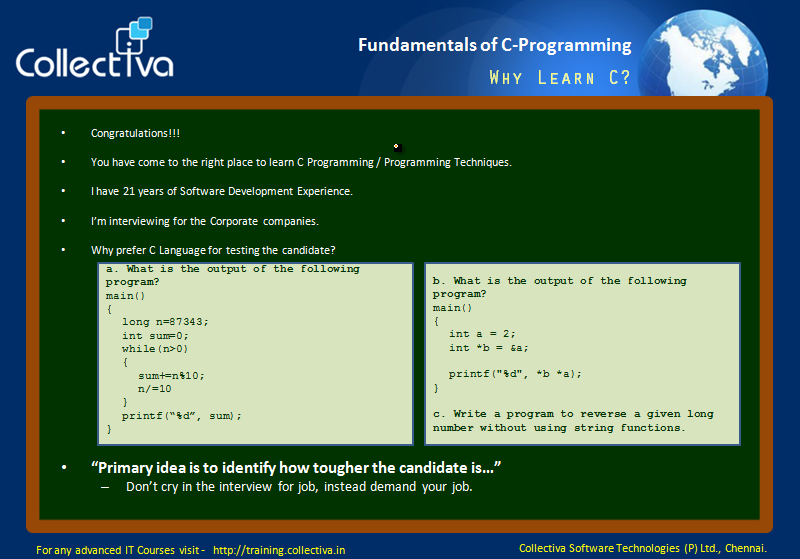 Learning C Programming is really a fun, creative and very helpful in building one's career. 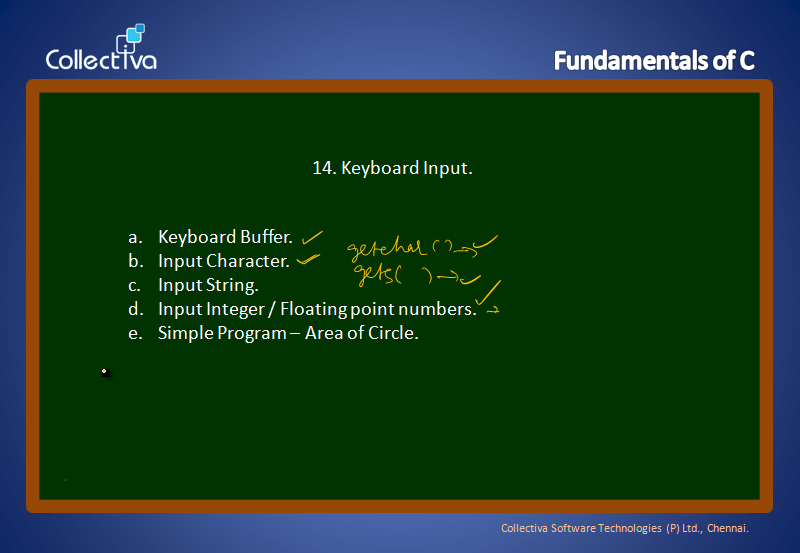 C programming was once used to build the Operating Systems. Even today tiny embedded programs are still written in C programming language for its tiny size and powerfulness to directly interact with the hardware and utilize its complete performance. The author of this course is a full time developer in different languages and likes very much the C programming language. In his 25 years of software development experience, he suggests C programming language as the most suggested language to start learning the Computer Programming. Those who learns this course will be able to clearly understand the hardware, Quincy IDE to build the C Programs and importantly able to build the algorithm on one's own. In order to learn this course, you need to have just 8th Standard or above education. Many school, polytechnic and college students have undergone this training and have gained complete knowledge of C Programming. This is a most suggested course for anyone who is willing start programming in computers.